My name is Mandie Medford, and I was honored to become the owner of HypnoBirthing Las Vegas in June of 2008. Since I took over HBLV, I have had the honor of teaching over 1,000 families in the greater Las Vegas area. I am called mom by my three beautiful daughters Makenzie, Grace and Reagan. They are the reason I do what I do. All of my girls were birthed naturally with the profound relaxation and calm confidence of HypnoBirthing ®- The Mongan Method. I birthed my first child, Makenzie, at St Rose de Lima hospital in October of 2007. Grace was born at home in water in September of 2010; Reagan joined our family in May of 2012 and was also a water birth baby born at home. Each of my births were life changing experiences and have furthered my belief that birth is beautiful and sacred and can absolutely take place in the way that mirrors nature. Each day that we spend with our sweet girls is an absolute joy and reminder of the beauty of pregnancy, parenting and childbirth. In our family, we value the gift of our children above else and want to pass that joy onto other families. I am so blessed to be able to share the joy of birthing with other parents-to-be here in Las Vegas and Henderson. I was born and raised right here in fabulous Las Vegas. 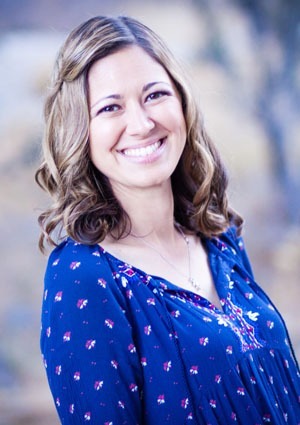 I received a Bachelor of Arts degree in Elementary Education from the University of Nevada, Las Vegas in 2006, and taught first grade for 2 years before becoming a full time mom and HypnoBirthing ® Childbirth Educator. Throughout my time as a birth professional, I’ve received birth doula training through DONA International and have had the privilege of attending the births of many of the clients who’ve attended my HypnoBirthing classes. I’ve obtained lactation educator training, and certification in NRP (neonatal resuscitation). Staying active in the birth community is near and dear to my heart and I’m able to do so through my affiliation with Well Rounded Momma; a pregnancy resource center which strives to educate and support expectant families in Las Vegas to influence better birth outcomes. Because of my love of this wonderful city, I am giving back by helping parents take back their right to birth in the safe, joyful and comfortable way in which nature created all of us to birth. I believe that birth is a celebration of life. I am working to help all families create the birth that they believe is best for them, and giving them the tools to achieve this gentle, comfortable birth.